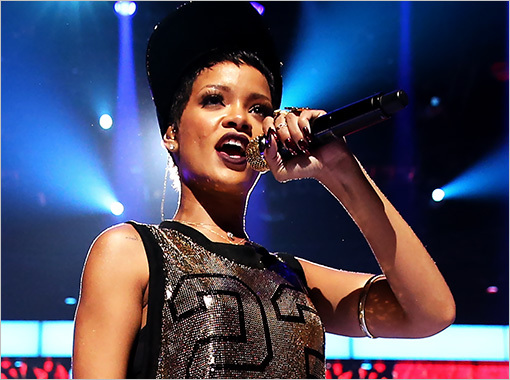 Rihanna was on Saturday Night Live Saturday night and gave a visually interesting performance of her pop hit, Diamonds. The background while she was doing the song looked like a bad 90’s computer graphic. That’s not necessarily a bad thing. It felt like an quirky artistic choice. Check out her performance and let us know what you think in the comments.